Grow your own salad bar by planting spinach and other leafy greens in the garden or large containers. Try lots of other vegetables packed with vitamins and minerals, too, like broccoli and kale. If your idea of a salad is a bowl of Iceberg lettuce, you’re missing out. Fresh salads can be made up of many delicious, nutritious vegetables. Think tender beets and baby spinach, crunchy radishes, ripe tomatoes, young summer squash, spicy onion slices and crispy cucumbers. Toss in some sweet corn, cut from the cob, or add celery, peppers, carrots or spring peas. And we haven’t even mentioned all the many kinds of lettuces. I love the butterheads, which have a mild, buttery flavor and a tender “bite,” and the colorful romaines like ‘Red Leprechaun’ or ‘Freckles’. Salads have been around, food historians say, since the time of the ancient Greeks and Romans. First served as appetizers, they became a dinner course by the Renaissance era. Today, of course, you can add dressing to a simple chunk of Iceberg lettuce and call it a salad, or make your own unique mix by combing a variety of veggies with different colors, textures and tastes. Use our guide below to grow your own salad garden. These plants will thrive in a garden spot, raised bed or even in large containers. Lettuces usually fall into one of four categories: looseleaf, butterhead, romaine and crisphead, also known as Iceberg. Looseleaf types are the easiest to grow and tend to resist bolting, or setting seeds, longer than the others. Once lettuce bolts, its leaves become tough and bitter. 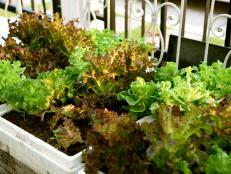 Plant lettuce in the cool temperatures of spring and fall. Sow the seeds indoors or directly in loose garden soil, 1/4-inch deep. The plants can take full sun to part shade. Thin the seedlings to every foot for Iceberg types, or every 8 to 10 inches for other types. No need to waste your thinnings—add them to your next salad. Heading lettuces are ready to harvest when the heads firm up. You can pick leaves from the looseleaf types anytime. To keep fresh lettuce coming in, plant more seeds every 10 to 14 days, or until the weather heats up. Look for different varieties as the temperatures rise; some are more heat-tolerant than others. If you like a bold flavor, try arugula, a leafy, peppery-tasting green. Like lettuce, it grows best in cool weather and tolerates some shade. 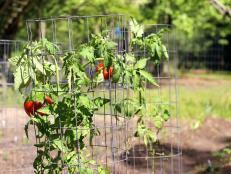 You can also plant in late summer for a fall harvest. Give arugula compost-enriched soil, and space the plants 12 to 18 inches apart. Pick from the plants anytime, but allow some leaves to remain, so they can keep growing until it gets too hot. Don’t forget kale, one of the latest super-foods. 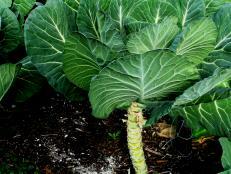 This cabbage relative has frilly blue-green, purplish or whitish-green leaves loaded with vitamins and minerals. Kale likes cool weather and becomes sweeter in the fall, when some gardeners say it takes on a nutty flavor. For best results, test the pH of your soil and grow kale between 6.5 and 6.8. Give it full sun to part shade and well-drained soil enriched with compost and fertilizer. Bok choy is another cabbage relative. You can recognize it by its white stems and green leaves, which you can harvest as they grow or pick after they’ve developed into small heads. 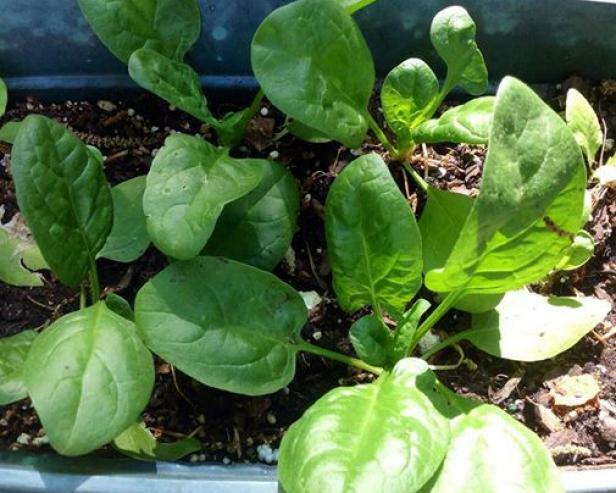 Plant bok choy in cool weather, spacing the plants about 10 to 12 inches apart. It takes full sun to part shade and needs well-drained, fertile soil that’s enriched with plenty of organic matter. Spinach makes a great addition to salads not only for its flavor, but also for its abundance of vitamins and minerals. Plant the seeds 1/2-inch deep and 2 inches apart in spring, in loose, deep soil, or sow later in the summer for a fall crop. 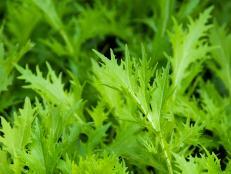 As with lettuce, sow more seeds every couple of weeks, and toss thinned seedlings into salads. These salad mainstays need well-drained soil and lots of sun. Bury transplants up to the bottom set of leaves, and they’ll develop roots along the length of the stem. Keep them watered deeply and regularly, and stake tall varieties early, before they start to droop. Foliage that touches the soil is more likely to be plagued by diseases and pests. Pick the tomatoes when the color is uniform and the fruits feel firm. 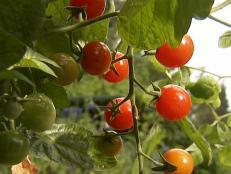 Cherry and grape tomatoes are tasty and fun to grow, too. Plant your cukes in a sunny, well-drained garden spot with lots of organic matter worked in. They’ll do best in a pH of 6 to 7. While cucumbers thrive in the summer, they need to be watered regularly and deeply so they don’t develop a bitter taste. Bush varieties should be spaced about 3 feet apart. Vining types will need support. Cukes are heavy feeders, so use a liquid vegetable fertilizer or a slow-release granular type. Keep the plants picked so they’ll keep producing. 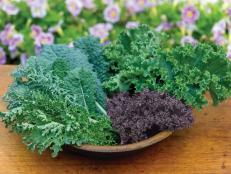 Loaded with nutrients, including beta carotene and vitamin C, kale is good…and good for you. This staple of the Southern dinner table is a delicious addition to any garden. 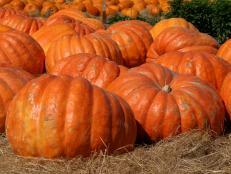 Harvest tons of fun by growing giant pumpkins in your own backyard. Learn secrets to success from our garden experts. 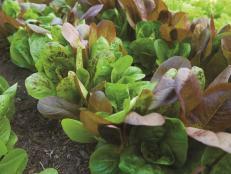 Tips for growing lettuce varieties in your fall garden. Raise a crop of pumpkins on a deck or patio—with no garden bed in sight. 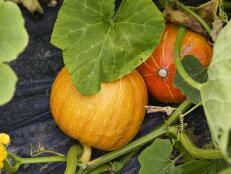 Learn how to grow pumpkins in pots no matter where you live. Add some Eastern spice to your fall garden with unusual Asian greens. 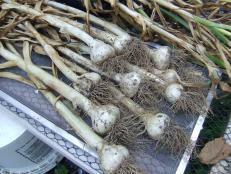 Learn what signs to look for to harvest garlic at the right time.